Do you use a Discover credit card? If so you'd better check your due dates as the Consumerist reports that many users have logged in to find that their Discover payment due dates have been moved up several days. Upon reading this I logged into my own account and found that the payment due date I had chosen when I opened the card several years ago, to fit my paycheck schedule, had been moved up to June 1! For a company who has spent plenty of money pitching a new kind of credit card, one that cares, this move has quickly put a damper on the sunny discover logo that wants to make you a better saver. While a change in due dates is to be expected at Citi or another issuer, the fact that Discover let's cardmembers choose a due date that fits their schedule makes this mass change surprising to say the least. When questioned about the due date changes, Discover's straightforward explanation was that, "The payment due date is now cycle date minus 5 days, however, our grace period remains one of the longest in the industry at 25 days. Cardmembers were notified back in March and will continue to have the option to choose their payment due date." I checked my e-mail and found that indeed I got an e-mail in March telling me about an important change in my Discover account but like so many change notifications it wasn't clear that the it meant that my chosen due date would move forward by a few days. I'm not absolving the cardholders who didn't immediately log in and find out that their due date was changing from responsibility, but if every single cardholder's due date was shifting forward five days like Discover's media representative says, couldn't they have at least said that in the email? Last time I checked Discover wasn't communicating this to me through Twitter; the e-mail could have easily contained a sentence telling users that their due date was changing, it could even include the new due date! Rather than coming across as a "new kind of credit card company", this move by Discover sounds more like a desperate ploy to grab $39 late fees and jack up rates before the new credit card rules come into play. If Discover responds with more information regarding the change we'll be sure to pass it on. Until then, make sure you read every notice you get from credit card companies and pay extra attention to the due dates on your credit card bills; even if the issuer let you pick a due date and hasn't changed it for the past four years. If you missed your due date, don't take the late fee and interest increases sitting down; ask your credit card company to remove the late charge and return your interest rate to the level it was before you missed the payment. 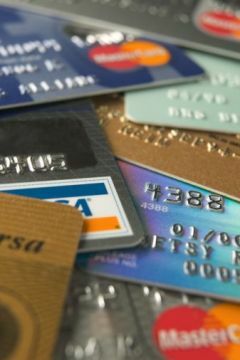 If it's your first time many credit card companies will work with you, but you may have to ask twice.